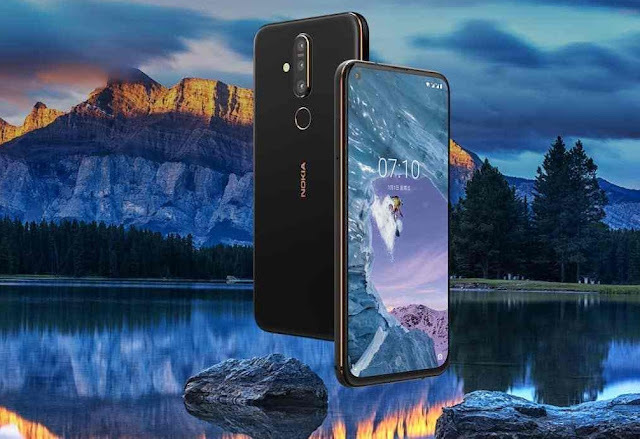 HMD Global has launched the Nokia X71 at a sticker price of TWD 11,900 in Taiwan. Nokia X71 comes as the organization's first smartphone to make a big appearance the in-trend punch hole display. Nearby the one of a kind screen, it includes an all-glass body, triple back cameras, including Snapdragon 660 processor and a 3500mAh battery. The Nokia X71 accompanies an all-screen accomplished by embracing a punch-hole display. On the rear, it accompanies a top-notch glass casing, vertically adjusted triple cameras, and a fingerprint scanner. Also, the handset sports a 6.39-inch FHD+ 1080 x 2316 pixels resolution LCD display with 19.3:9 aspect ratio and 500 nits peak brightness. The Nokia X71 offers a triple back camera setup including a 48MP (f/1.8) main sensor, an 8MP ultra-wide sensor, and a 5MP (f/2.4) depth sensor. In advance, the smartphone houses a 16MP (f/2.0) lens in the display hole. The primary camera offers 2160p video recording at 30fps, while the front camera can record 1080p recordings at 30fps. As far as connectivity options, the Nokia X71 underpins dual nano-SIM, 4G, Wi-Fi 802.11 a/b/g/n/ac, Bluetooth 5.0, aptX, GPS/A-GPS, 3.5mm sound jack and USB (Type-C). Besides, the handset accompanies every single standard sensor including an accelerometer, proximity, gyro, and compass. The Nokia X71 is fueled by Qualcomm Snapdragon 660 chipset, combined with 6GB of RAM and 128GB of internal storage that can expandable up to 256GB by microSD. Besides, the smartphone houses a 3500mAh battery with 18W Fast charging help and runs Android Pie OS under the Android One program. Nokia X71 has propelled at TWD 11,900 with single color option- Eclipse Black. The device will be available in Taiwan from April 30. With respect to now, the organization has not shared any insights about its availability in India.